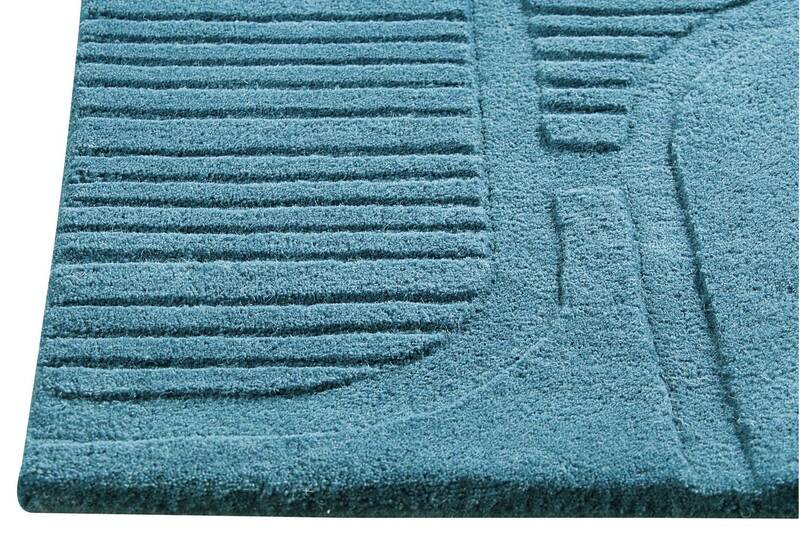 MAT The Basics Orlando Area Rug - Petrol - Swatches may be available. Hand Tufted. Contemporary. 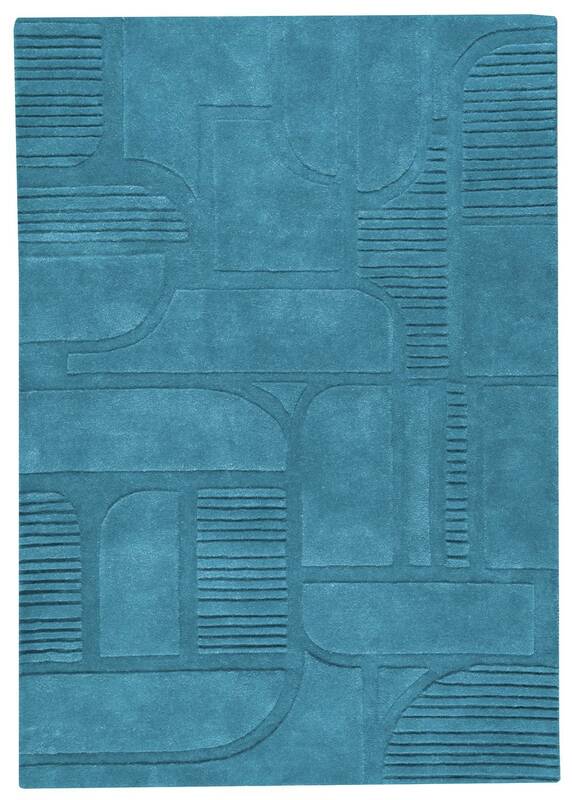 The Orlando collection is a contemporary rug that holds a certain retro appeal to it. With its pressed in ribbing and curved pattering, the color choices that the Orlando is available in appear to be a nod to the late sixties and seventies. Hand woven by craftsperson's using a wool and cotton blend, this carpeting is available in other sizing options to suit your needs. Hand Tufted with 90% wool, 10% cotton. Solid color. Pile height is 0.5 Inches. Made in India. 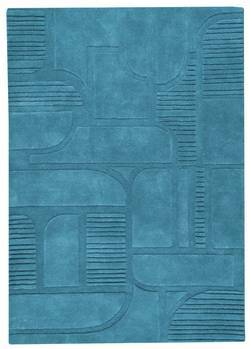 MAT The Basics Orlando Area Rug - Petrol 5'6"x7'10"
MAT The Basics Orlando Area Rug - Petrol 8'3"x11'6"